Hey guys! 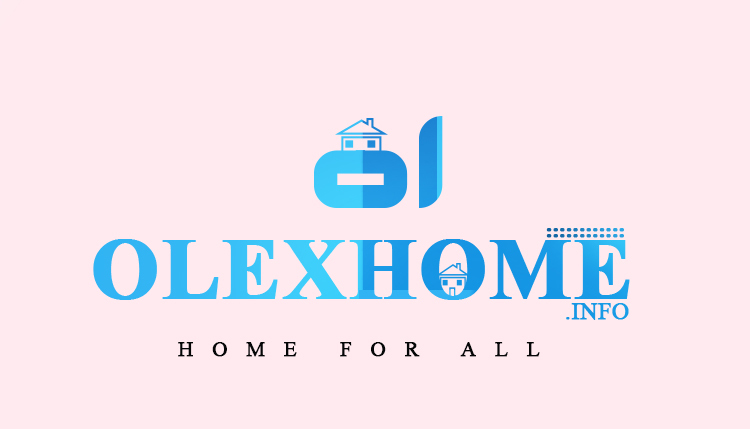 here is another good news for you all! Did you know? 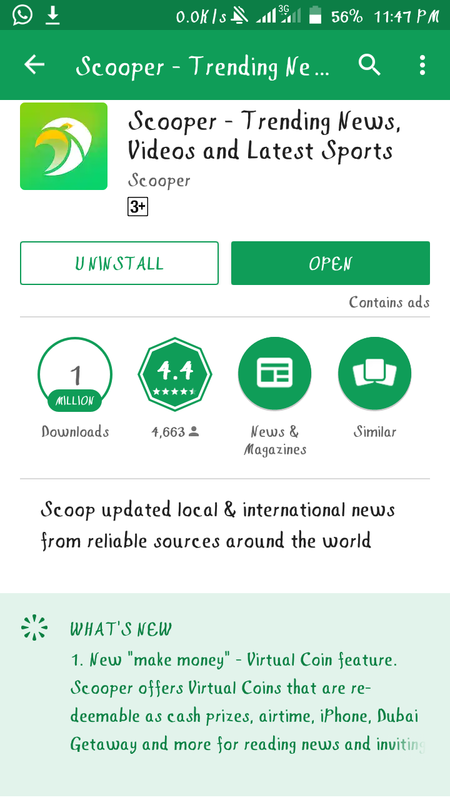 You can now get free data for yourself using coins without spending a dime with the help of this News app called Scooper. This app gives you coins for reading news and referring people to download the app and the coins can be used for data subscription on all networks, reedeem as real cash/money in your bank account, a free dubai trip, iphone x, infinix note5 and can also be converted to airtime for calls on any other networks of your choice in Nigeria and international. 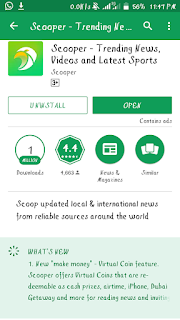 Scooper which is formally known as Eaglee News App is an app designed specifically to entertain users and let them get information by reading interesting News, entertaining videos and other entertainment stuffs. 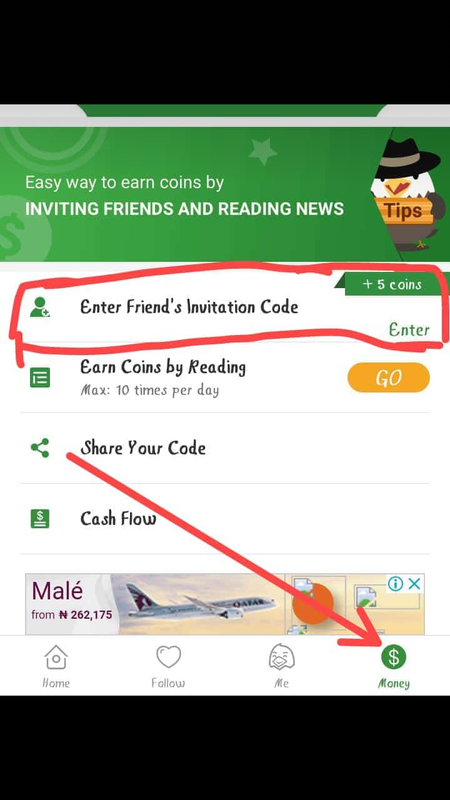 Scooper (Eagleee News App) gives you +5 coins for each news you read on the app, +200 coins when you invite/ refer someone to download the app and you are also entitled to another +5 coins when the person you invite/ refer enter your referral code to the app to confirm you as his or her referee. Use H7QPOA as your friend's invitation code. 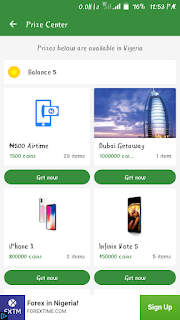 The coins can be converted to Airtime, data or real cash and can also be used to apply for a trip to dubai, can be use to get iphone X,infinix note 5 and so on. Isn't this better than you just reading news on sites that doesn't give you anything in return? 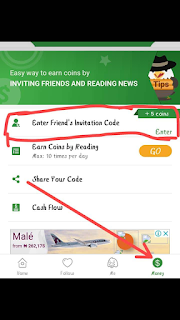 To start earning free coins, download and install Scooper News app By Clicking Here and start reading news on the app and also start referring people using the referral code given to you in the application’s dashboard. Its very simple, just click on any news and you will see a dollar sign $ poping up, when until it full and boom, you have earned 5coins on a news, read plenty news and do it same way. You can also refer people to earn more coins. 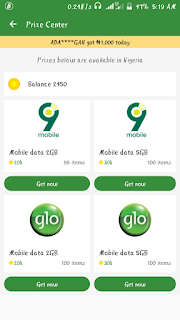 please how do I withdraw the coin as airtime? When you open the app, look below you will see (Home, follow, me, money) click on the money icon and when it opens, there you will see cashout, click on the cashout and you will see the prizes available for you, there you can choose airtime. Bro, the coins I have been picking is not adding up, all I have is just the 5 coins they gave me when I added the code, any help? When can i cashout? As in how many coins do i need to earn to withdraw?